This post is by blog team member, Kiran. To learn more about Kiran, check out our team page or her blog, Easy Real Food! I’m not a weekly Walmart shopper because it is a little bit of a drive for me, but I’ve got to admit: their prices are good. 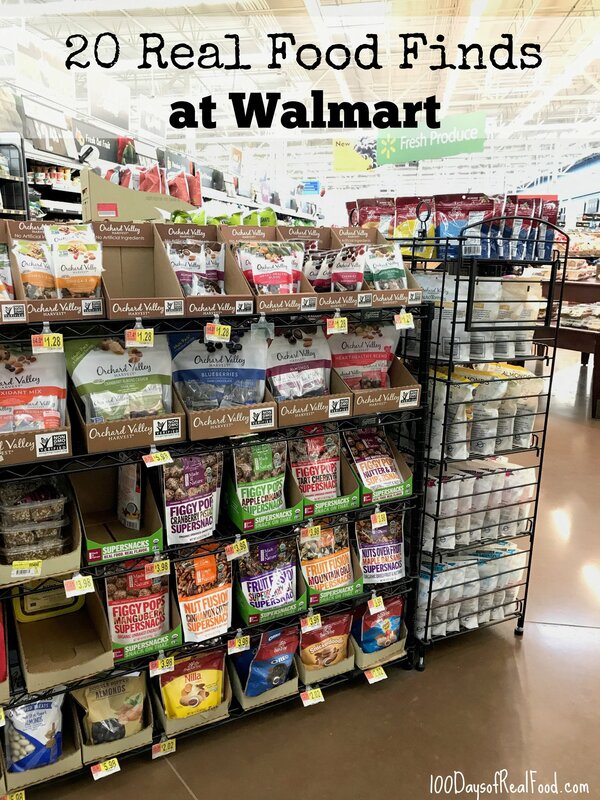 When I heard that one of my favorite snack foods lines, Made in Nature, is now available at the store, we decided to partner with them on today’s sponsored post to share 20 real food finds at Walmart. 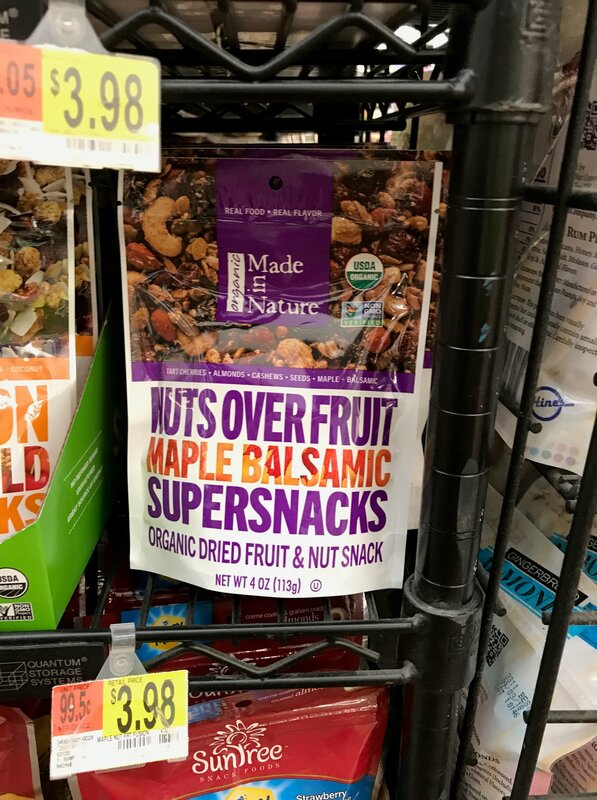 Partnering with Made in Nature is always a no-brainer since #1, I love their real, organic snacks and #2, they fit the “rules” and don’t contain any artificial ingredients whatsoever. 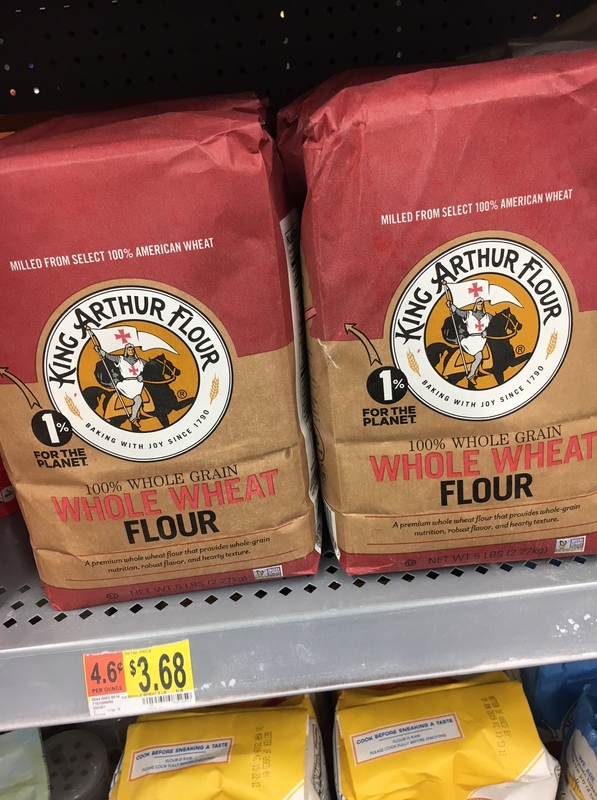 When checking out Walmart’s offerings of their product line, I was once again surprised to find a number of other suitable items at really good prices. 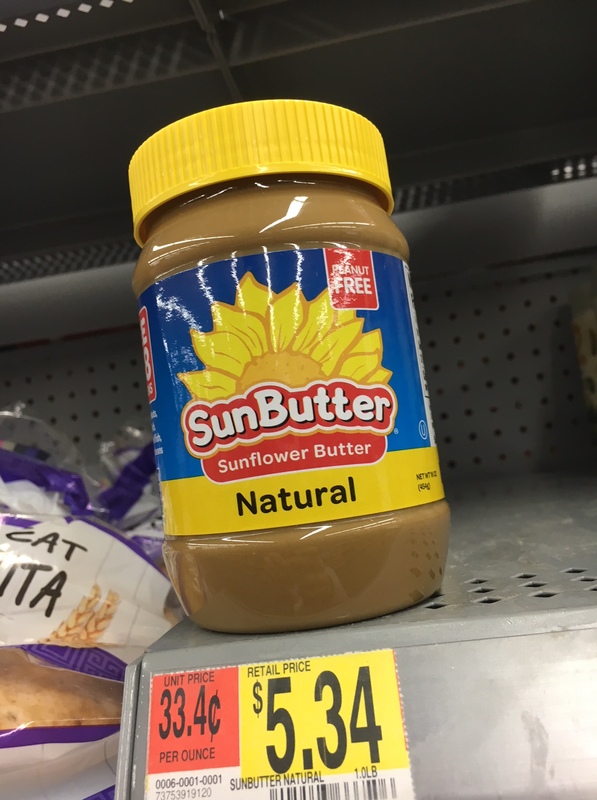 Before we take a look, let me tell you a little bit more about Made in Nature, since that’s the reason I initially went to Walmart in the first place! So many packaged snacks have a laundry list of unwanted additives and other questionable ingredients. That’s not the case with Made in Nature! Their ingredients are simple, just as the name suggests. They offer a variety of snacks in both multi-serve and single serve snack packs, perfect for snacking on-the-go or for putting in school lunches. My favorite snacks of theirs are without a doubt the Coconut Chips and Dried Mango (I’ve professed my love for it here, too) :). ALL of their products are certified USDA organic and non-GMO and have real ingredients you can actually pronounce. They are perfect for us parents pushing through the grocery store who don’t want to be a detective in label-reading. Apple Cinnamon Figgy Pops – A perfect replacement for those other snack bars that are loaded with added sugar. Superberry Fruit Fusion– A great option for those looking for a snack with no nuts, but seeds + dried fruit. PS – find these at a store near you! 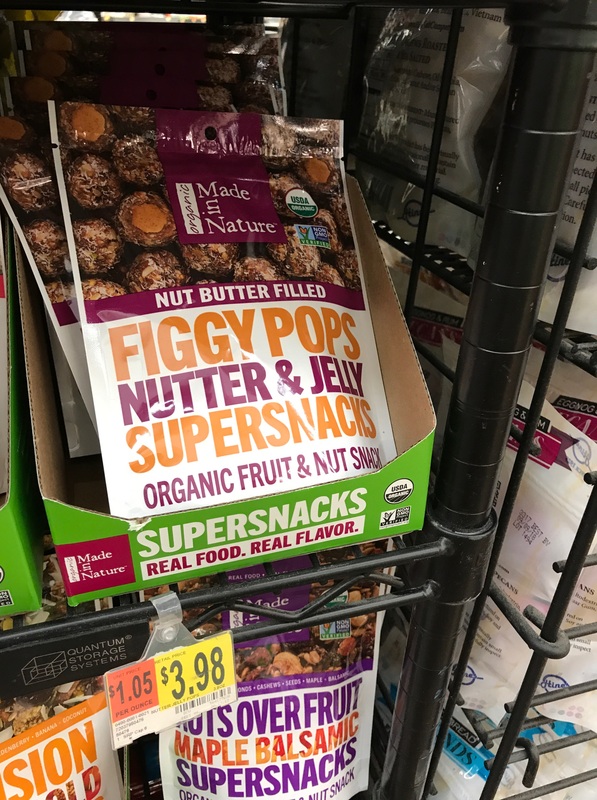 1) Figgy Pops are energy balls made of certified organic fruit, nuts, seeds, and spices. These ones (below) were taken a step further – they have nut butter in the middle, giving them a nice, filling pop of protein. Yum! 2) Nuts, dried fruit, maple syrup, and a balsamic reduction come together to form this winning combo. A unique snack that I’m nuts about ;). 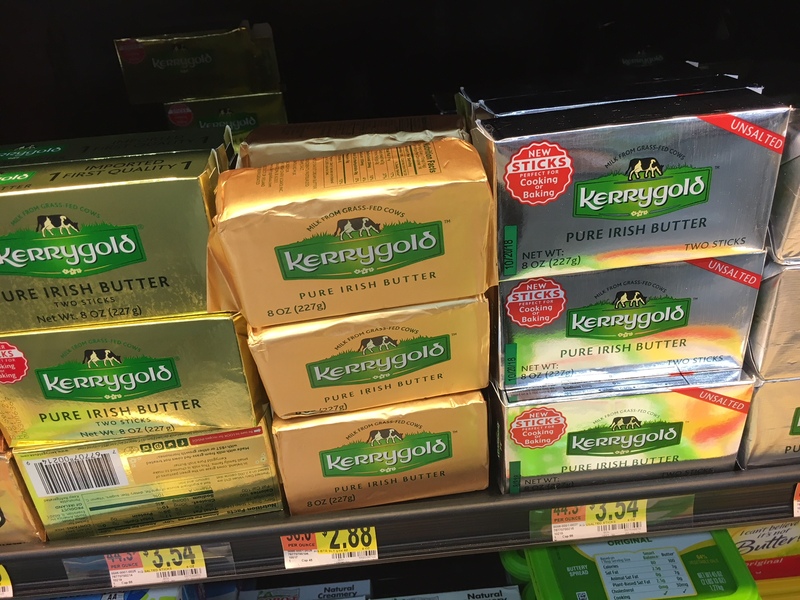 3) Love Kerrygold’s Irish butter and cheese products, which are made with natural, grass-fed, hormone-free cows’ milk on cooperative dairy farms. Look at those prices! 4) How stinkin’ cute are these?! Sadly I don’t have a super little one to need these for, which is probably why I’m seeing them for the first time. Nothing but plain yogurt here. 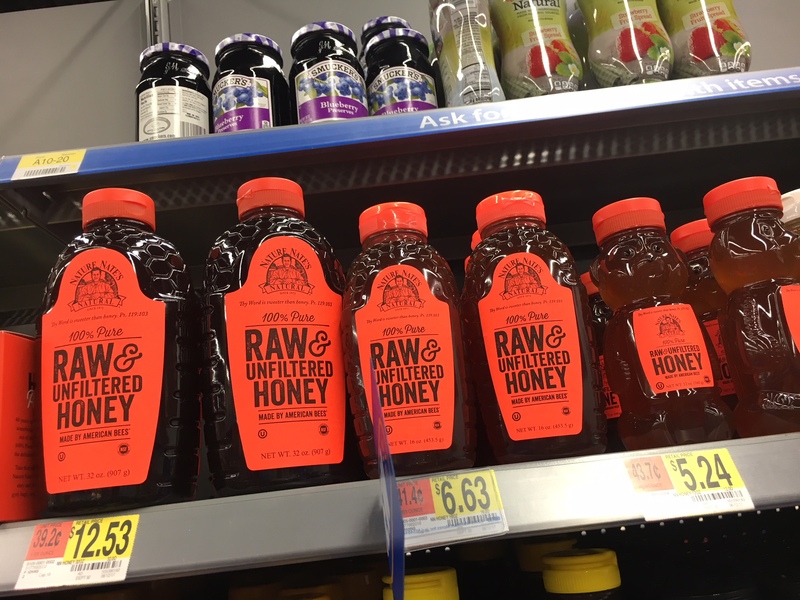 5) Pure raw unfiltered honey from one of our favorite brands, Nature Nate’s. 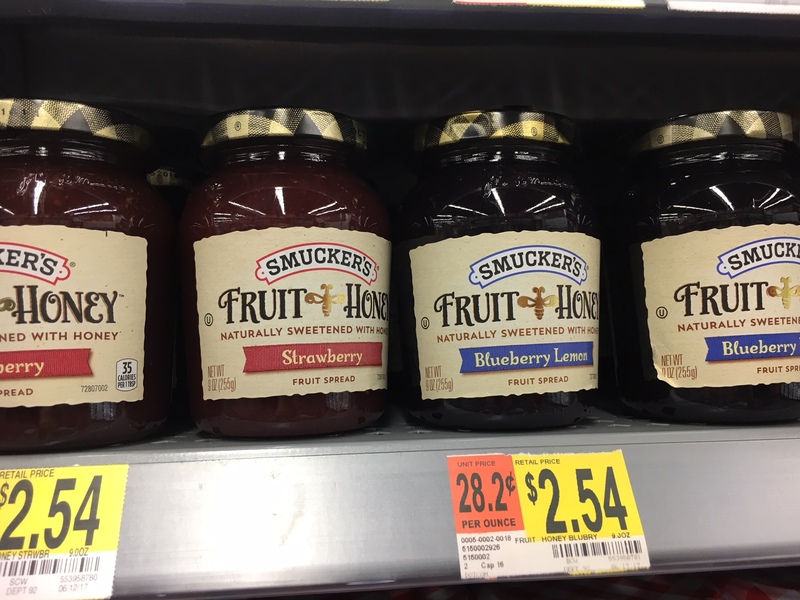 6) A jam option with – wait for it – fruit listed as the first ingredient, and sweetened with honey. How good does that blueberry lemon version sound? 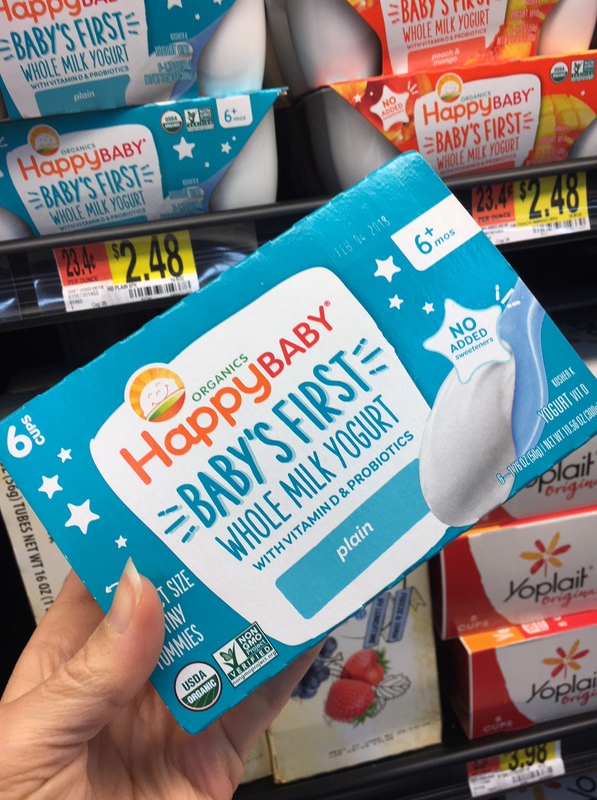 7) Perfect for nut-free-needing mamas (and papas) and those who just enjoy sunbutter (me!!). It’s not the no-sugar-added version, but I’ve paid upwards of $8 at my local grocery store so this is a good deal. 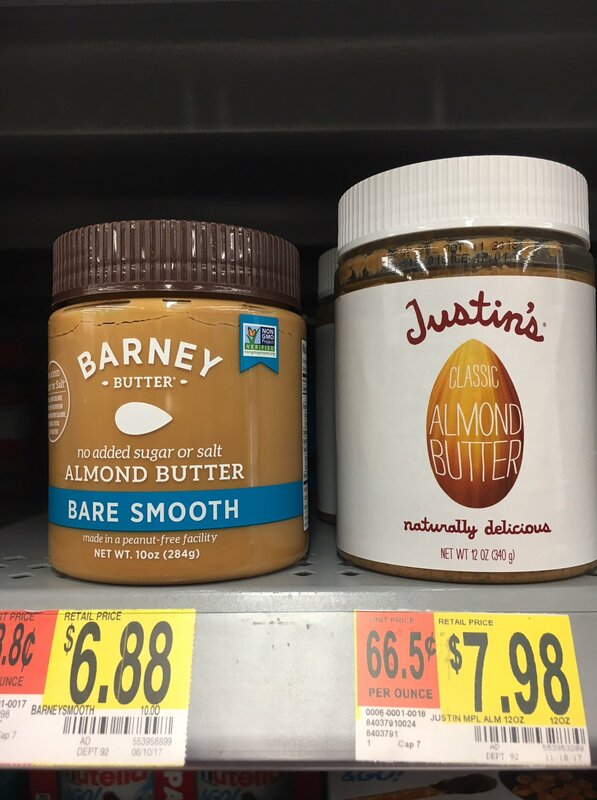 8) Two solid choices for almond butter. 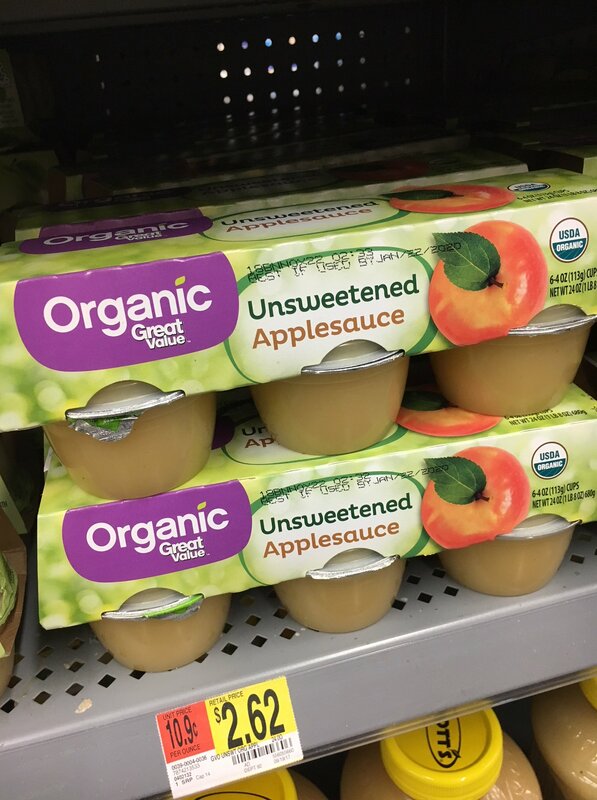 9) My kids still fight over these little applesauces, and I always go for the organic unsweetened version. Score! 10) Love these whole-grain rice cake snacks topped with smashed avocado, tomatoes and hemp hearts or with nut butter and jelly (grab one from above). 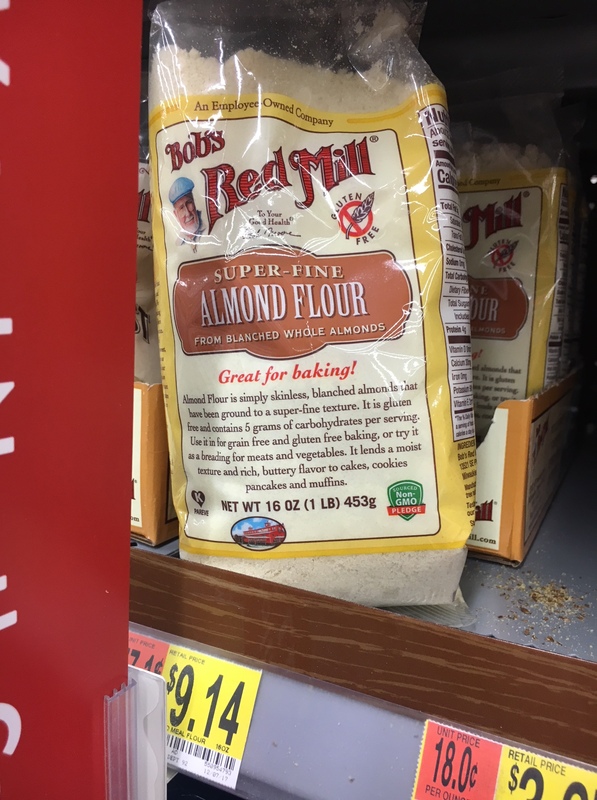 11) Paleo-folks and gluten-free bakers, I know you love this stuff. 12) A staple in most all real food kitchens. 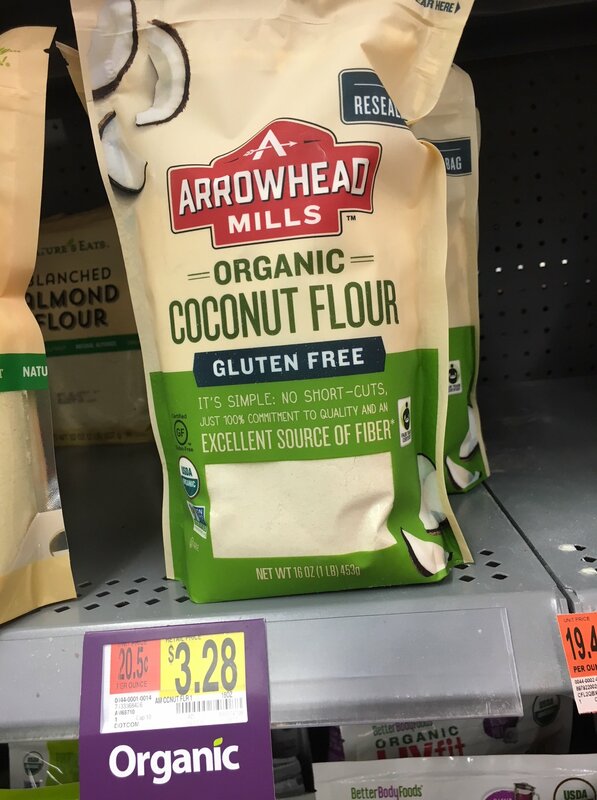 13) Another great grain/gluten-free flour alternative that’s organic and non-GMO. 14) Remember those rice cakes from above? 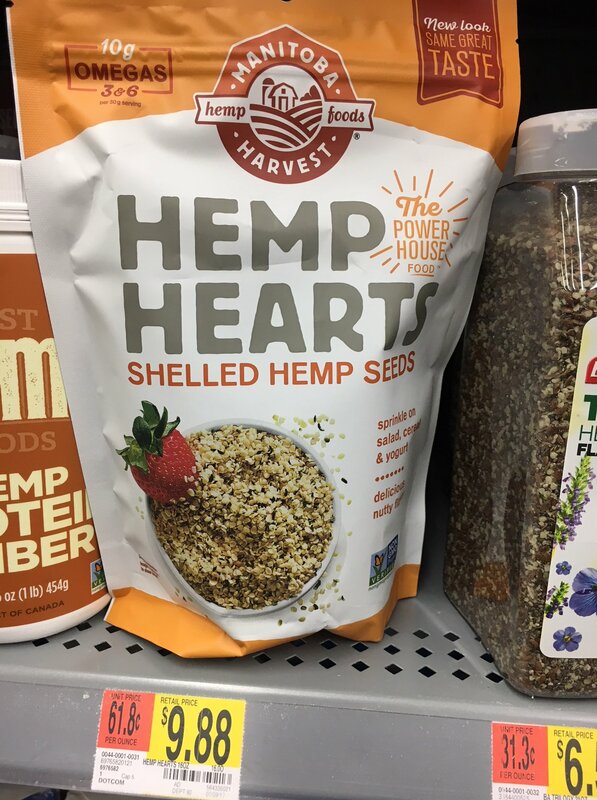 :) You can also sprinkle these hemp hearts on soups, stews, oats, use in smoothies, etc. 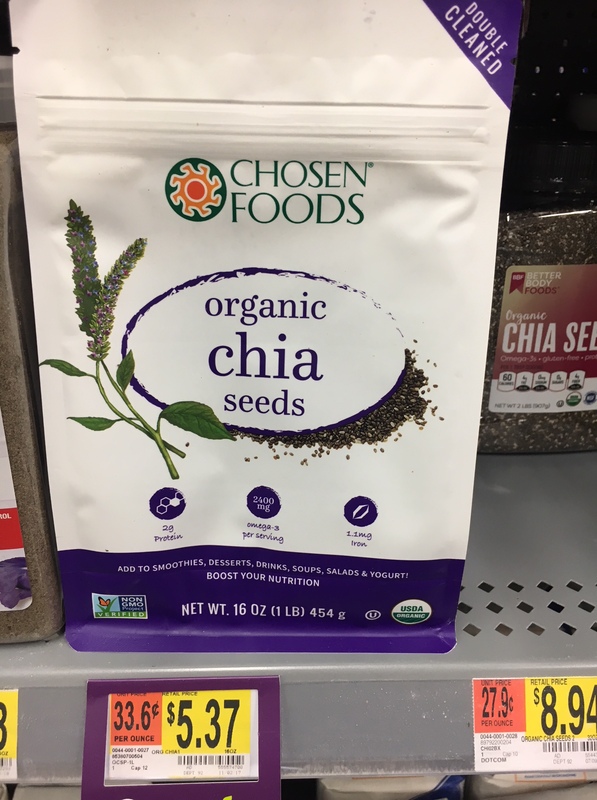 15) Also awesome in smoothies or in chia pudding. 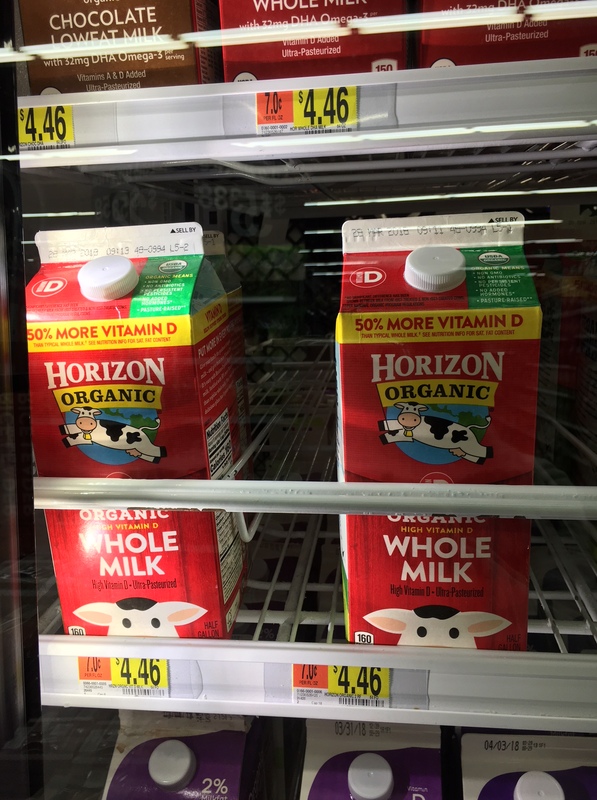 16) Organic milk is a must-have in our books. 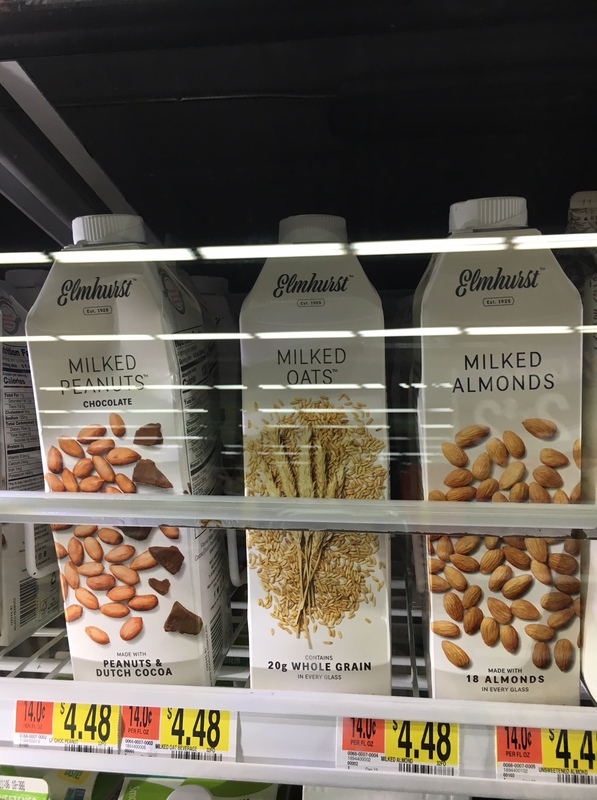 17) A new find for us, almond milk and grain milk, solid choices if you are lactose intolerant (me!) or otherwise can’t do dairy. Note: look for the unsweetened versions to avoid added sugar. 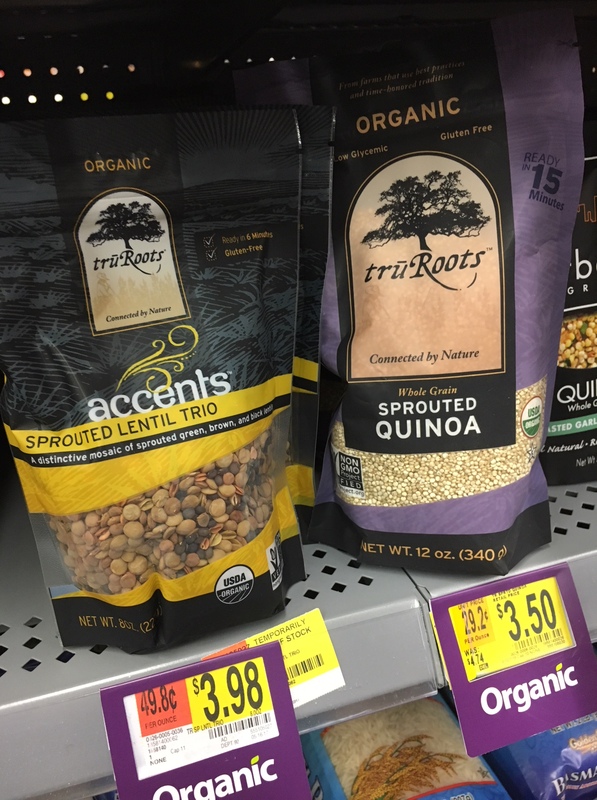 18) Organic lentils and seeds – great for stocking your pantry. 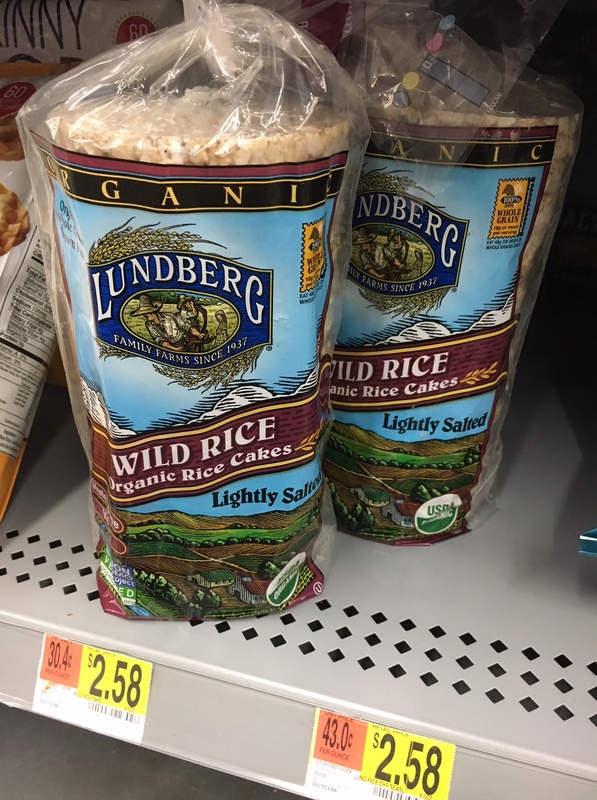 19) Big fan of Lundberg products overall. 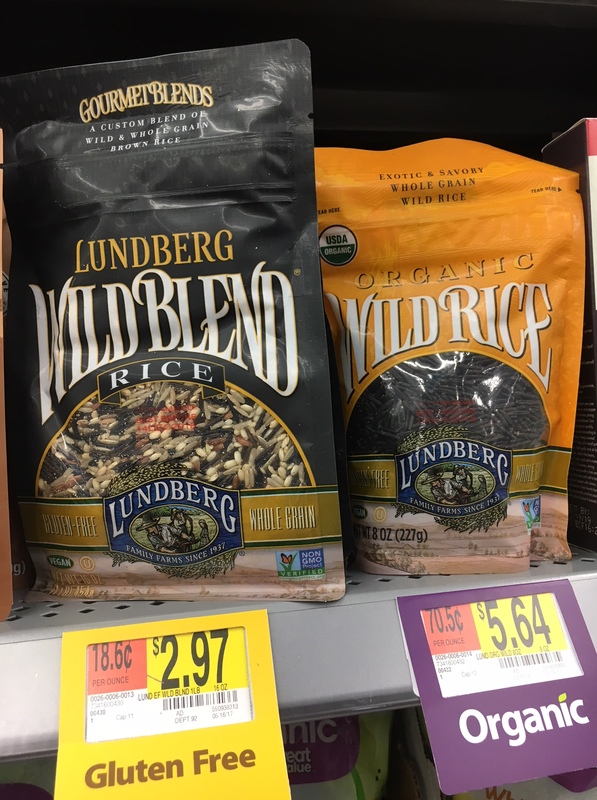 Honestly haven’t done much with wild rice, personally, but I’d give it a shot! 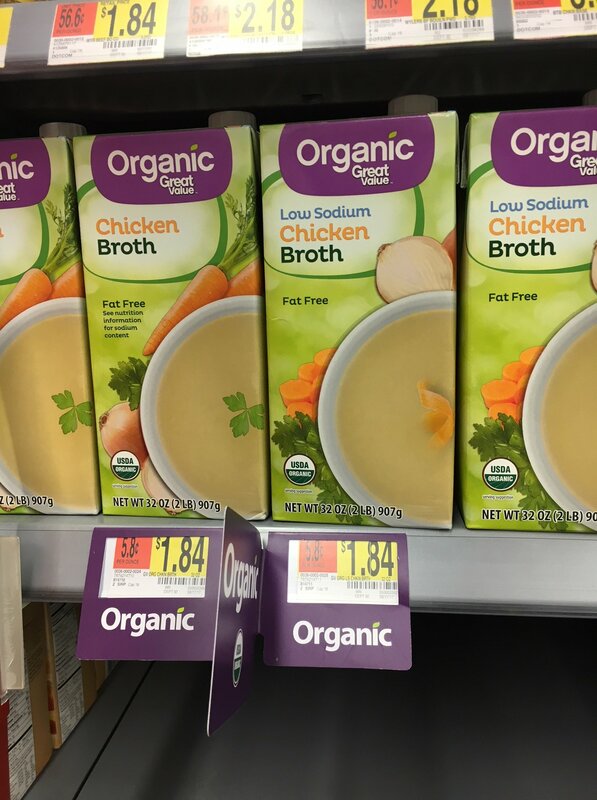 20) A good staple if you don’t make your own broth (The storebought version below does show added sugar on the ingredient label, but the listed 0 grams / 1 cup serving size is clearly a trivial amount). So there you have it; 20 great finds from Walmart including one of my faves and new to the store, Made in Nature products. Have you tried any of their products yet? Also, any good ones I am missing here? I love these types of lists since they help reduce the amount of time wondering through the aisles pinpointing good products. I’m going to look for those figgy pops! Still, I was surprised to see Great Value broth on the list since it includes two “not real” (in my view) ingredients: “natural flavor” (even if it’s organic, “natural flavor” can contain over 100 ingredients including preservatives) and yeast extract (an isolated glutamate that’s better than MSG, but still). I enjoy this site’s review of products and recipes, but it’s good to remember that everyone needs to do their own evaluation to see what’s right for his/her family. Trader Joe’s veggie broth and Pacific Foods (some varieties) don’t have yeast extract or “natural flavors” in them. Ingredients (from the Walmart Website): Ingredients: Filtered Water, Organic Chicken Flavor Base (Organic Chicken Flavor*, Organic Onion Powder, Sea Salt, Yeast Extract, Organic Cane Sugar, Organic Carrot Juice Concentrate, Organic Turmeric, Organic Natural Flavor), Sea Salt. *Adds a trivial amount of fat. If you like Figgy Pops you will love Wholesome Nibbles. My kids really like Apricot Walnut with help seeds and Chocolate Almond nibbles.